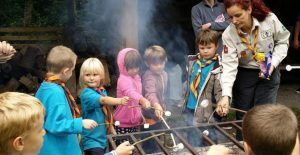 We have so many young people wanting to join our Beaver Scouts, we need additional volunteers to help us meet the demand for places. Helping with Beavers is really great fun and very rewarding. There are numerous intangible benefits too! According to new research, the majority of Scouting volunteers reported having improved life satisfaction (70%) and self-esteem (66%) since beginning volunteer work, as well as having reduced feelings of loneliness (42%) and stress (33 %). We currently have three full colonies running on Mondays, Wednesdays and Fridays. We have enough Young People on our waiting list to fill a fourth colony! !